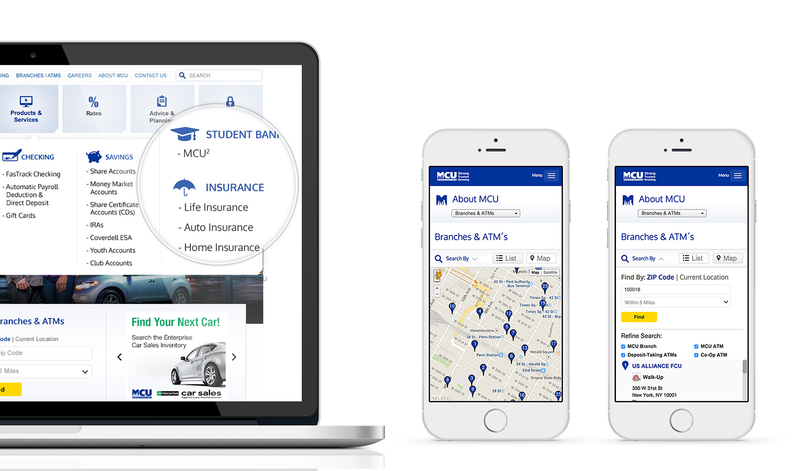 Redesign existing MCU website to add responsiveness, new architecture and navigation, content management and integration, and custom Location Finder search engine. Craft a platform-agnostic and rewarding banking experience while positioning MCU as a modern, full-service financial institution and retaining their "member-first" approach. 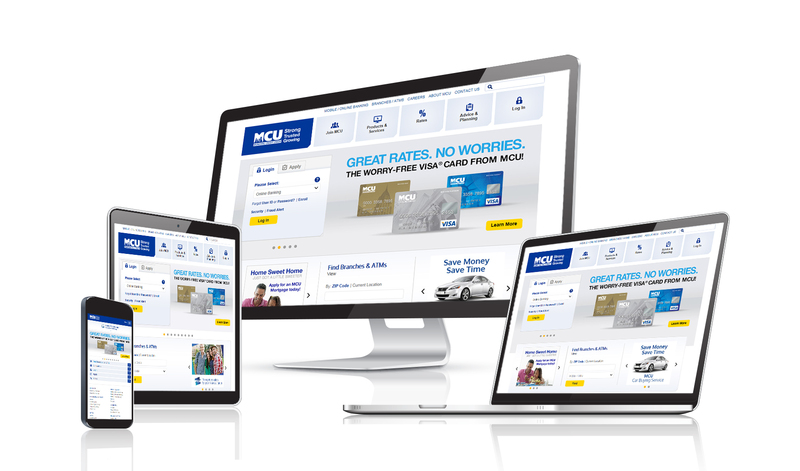 Consolidation of existing comprehensive content and navigation enhancement and reorganization to help limit heavy navigation for the MCU website. New and existing members have noted an easier user experience which positively impacted their perception of the MCU brand. More users are engaging with the the new and organized content on the MCU website as well.